Oklahoma's Roofing & Construction Solution! 777 Roofing & Construction, LLC is a family business that is locally owned and operated by Larry Andrews in the great state of Oklahoma. With over 30 years' experience in the insurance, roofing, and construction industry, we are a quality roofing contractor and construction company specializing in all types of residential roof repair and replacement throughout the Oklahoma City metro area. Throughout the years, we have replaced many roofs in the Oklahoma City area that have been damaged by the elements such as wind and hail. Due to our experience in the insurance industry, we can work alongside your insurance company to make sure all areas of damage are addressed and estimated properly. We have experienced staff on hand who are familiar with the estimating software being used in the insurance industry, and our goal is to make sure you are treated fairly and the work we do is performed to your satisfaction. 777 Roofing & Construction, LLC has elevated itself within the industry due to our high degree of professionalism, experience, and hands on service, while at the same time maintaining our focus - which is the satisfaction of our customers. Let us become your "Roofing and Construction Solution!" Contact us today for a free roof inspection! 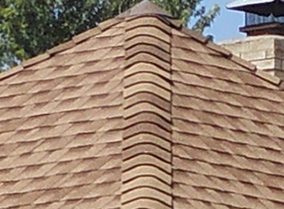 Request a Free Roof Inspection Today! Copyright © 2000-2019, 777 Roofing & Construction, LLC. All rights reserved.